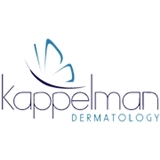 Kappelman Dermatology (Plainfield) - Book Appointment Online! Welcome to Kappelman Dermatology, where we are dedicated to our patients' dermatologic needs. We strive to deliver the highest level of care at every visit, while providing a comfortable and friendly environment. For patients requiring surgical or cosmetic appointments, please contact the office for your appointment. This allows for the appropriate time allowance. Once you request your appointment, please indicate your insurance ID number on the request and include your specific reason for the visit. Make sure to contact your insurance provider prior to requesting an appointment to confirm that your plan recognizes Kappelman Dermatology as in network (you can do this by calling the member services phone number on your card; note that insurance plans are subject to change). Friendly, efficient, thorough, good bedside manner!